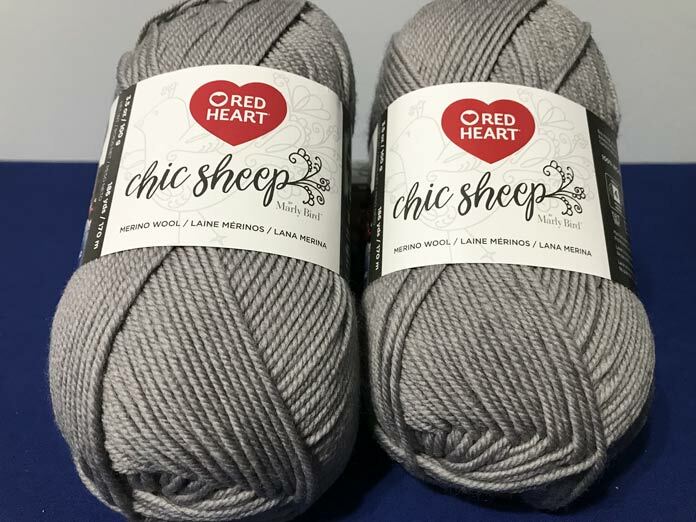 The newest addition to the Red Heart family is Chic Sheep yarn by Marly Bird. This is really exciting for a number of reasons, but mainly because this yarn is 100% merino wool. Yes, you heard me, it’s all wool. This makes Chic Sheep stand out from the rest of Red Heart yarns, which are typically a wool blend. 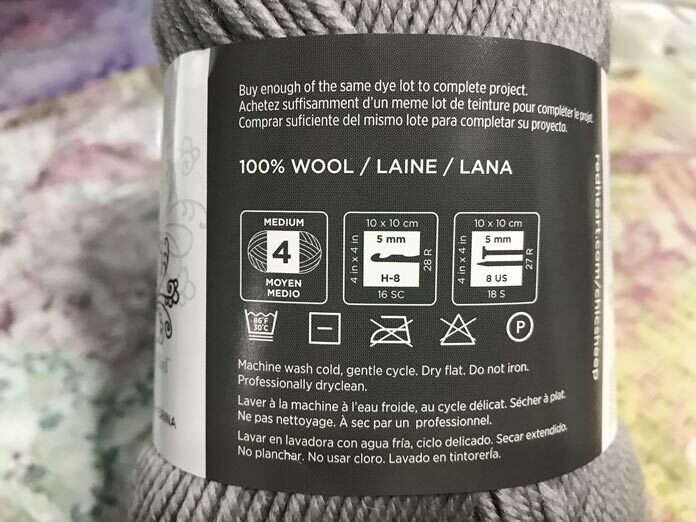 With this yarn being 100% merino wool you’d think the washing instructions would get really complicated. Something along the lines of, hand wash by the light of a full moon in cold water made of pure unicorn tears. This is so not the case! Machine wash in cold water and lay flat to dry. If you have a newer washing machine, there is a wool cycle you can use. I have frequently washed my hand knit garments on the wool cycle with a bit of wool wash and have never had a problem with felting or damage. I’ll admit to being slightly apprehensive about it the first time, but I have never had any issues with a superwash or mercerized yarn. Recommended hook and needle size along with washing instructions. 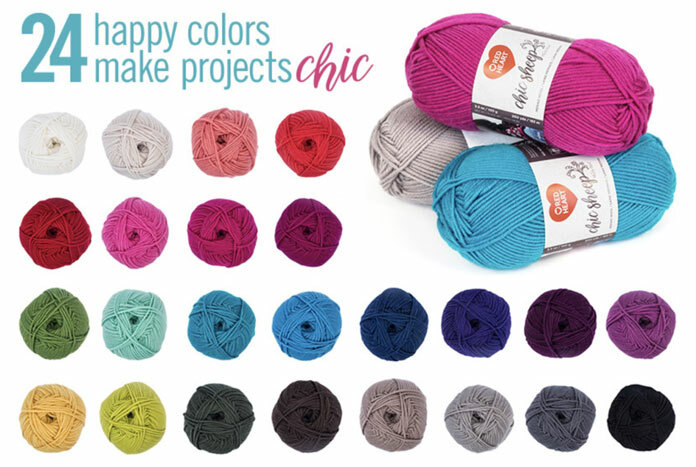 Another amazing thing about Chic Sheep, is the sheer volume of colors it comes in! There are a total of 24 colors, which means you’ll be able to find the color you’re looking for no matter the project. I’m always pleasantly surprised when a new yarn comes out in a whole lot of colors. I’m a huge color person, so when I’m able to pick bright hues and pair them with neutrals to get an amazing garment, I’m all for it. Mind you, Red Heart is rarely short on colors. All the colors are so vivid, I’m having trouble choosing between them! Chic Sheep is a medium weight yarn with a recommended needle size of US 8 [5mm]. This is an excellent standard size yarn, you can make just about anything with it; hats, socks, slippers, cowls, sweaters, mittens, skirts, blankets, shawls, etc. When I took the skeins out of the bag, I just wanted to keep squishing them. This is a four-ply yarn with lots of air space worked in. It has a lovely hand that makes me want to constantly keep touching it. 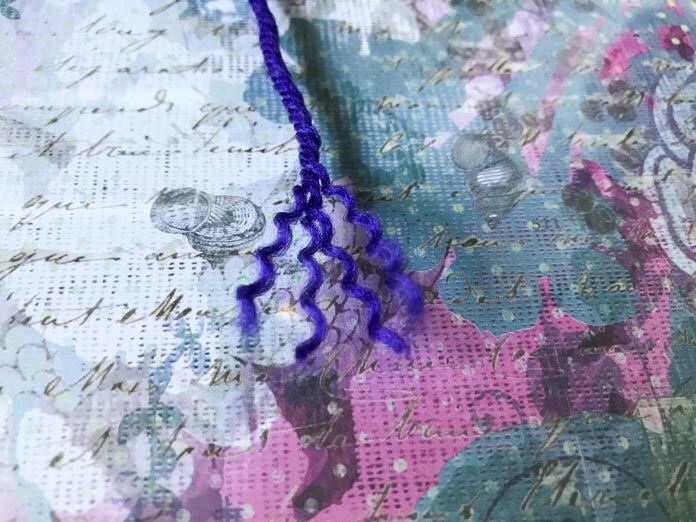 You can easily tell how many plies your yarn is if you un-twist one end. They’ll come apart separately, then you can twist them back up when you’re done. Tomorrow I’m taking you through the first pattern I knit with Chic Sheep, and how the yarn worked up. Initial thoughts are that it’s a lovely yarn and I cannot wait to start working with it!